An article published in the journal “Monthly Notices of the Royal Astronomical Society Letters” describes the discovery of the most isolated dwarf galaxy detected so far. 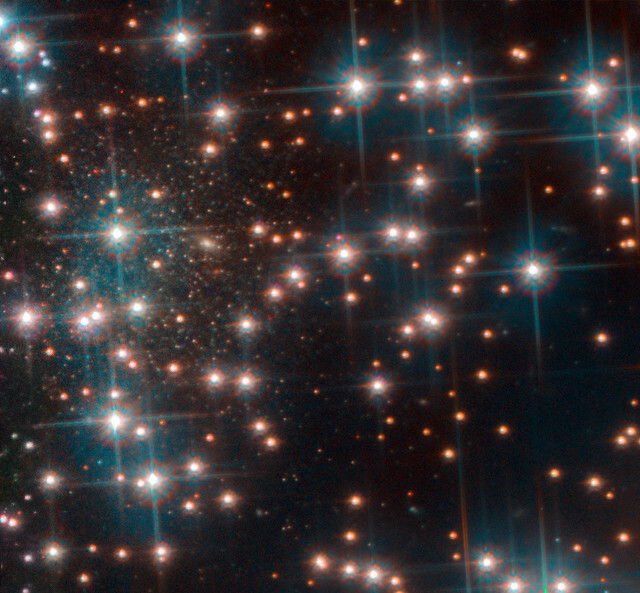 A team of researchers led by Luigi Bedin of the Italian National Institute of Astrophysics examined observations of the star cluster NGC 6752 carried out with the Hubble Space Telescope for a study of white dwarfs finding a group of very ancient stars that turned out to be a dwarf galaxy that was nicknamed Bedin 1. The successful discovery led Luigi Bedin’s team to conduct a different research than the original one focused on what turned out to be a rather particular separate galaxy. It’s a spheroidal dwarf galaxy, a category characterized by the fact that it’s small for a galaxy, isn’t very bright, contains little dust and old stars. The new galaxy, nicknamed Bedin 1, has these characteristics since its maximum extension is about 3,000 light years, very little for a galaxy, its brightness was estimated at about one thousandth of the Milky Way’s and the properties of its stars suggest an age around 13 billion years, really ancient. The dwarf galaxy Bedin 1 looks like a kind of fossil of the primordial universe that retained some characteristics thanks to the fact that it’s very isolated, about two million light years from the nearest galaxy, NGC 6744. In general, dwarf galaxies are small but they contain a lot of dark matter, with the consequence that they keep the gas ejected by supernovae, which goes to form other stars that end up having very different metal contents. That’s not true in Bedin 1, which has a population of stars that have very similar metal contents. In short, it was really a lucky discovery of a very interesting galaxy! 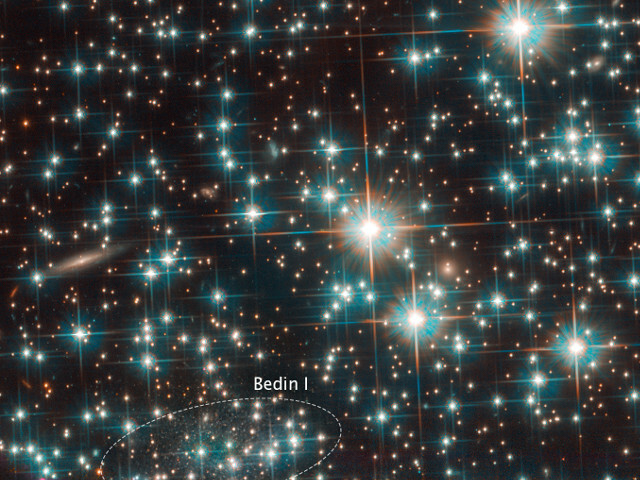 Moreover, according to Daniela Bettoni of the Italian National Institute of Astrophysics of Padua, part of the team that discovered the dwarf galaxy Bedin 1, it might not be unique, but there could be a population of similar spheroidal dwarf galaxies. The WFIRST space telescope, which is currently scheduled to be launched in mid-2020, has characteristics that will allow this hypothesis to be verified.